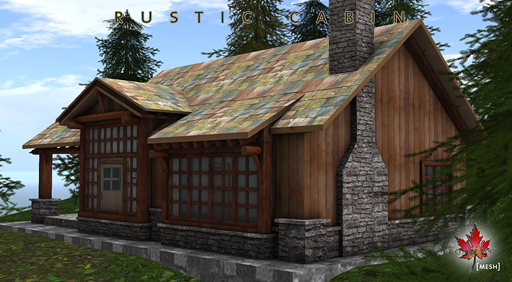 Welcome to the woods for Collabor88 June! 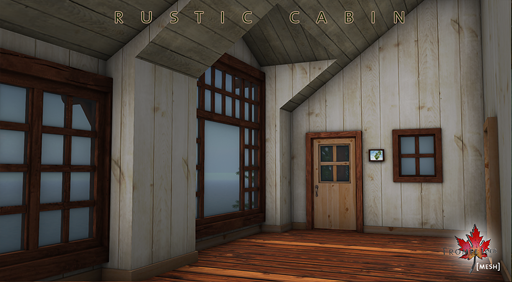 For this month’s fantastic sale, Trompe Loeil has yet another brand new mesh cottage – a three room hideaway perfect for your mountain retreat – the Rustic Cabin! Plus as always there’s a walk-through display right on the premises. 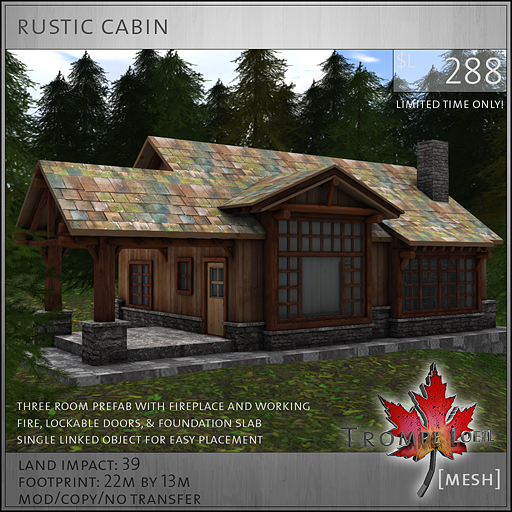 Positioned on a generous foundation slab for easy placement on uneven or sloping land, the Rustic Cabin is a natural log masterpiece in the Arts & Crafts tradition. 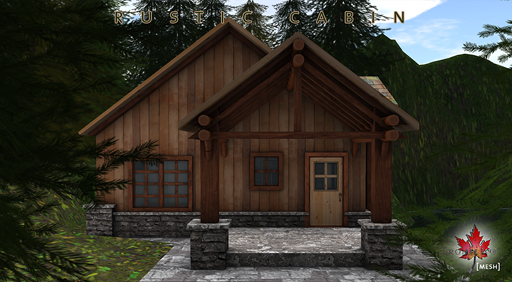 Stone borders surround the base of the cabin, and a covered concrete patio leads to the front door. 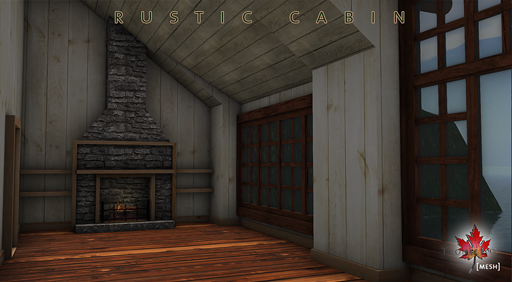 Inside, the main room includes enough room for a small camp kitchen and living room in front of the two oversized picture windows. At the far end of the main room, a natural stone fireplace with wood reinforcements keeps everything toasty – just click the fire to turn the lighting and flames, plus the smoke from the chimney, on and off. Two spare rooms make perfect cozy bedrooms, or a bathroom, craft room – whatever you wish! 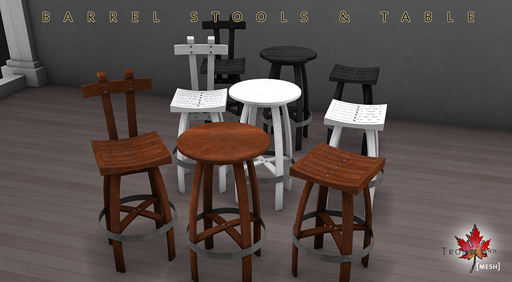 While you’re at Collabor88, make sure you pick up your favorite colors of our new Barrel Stools and Table! 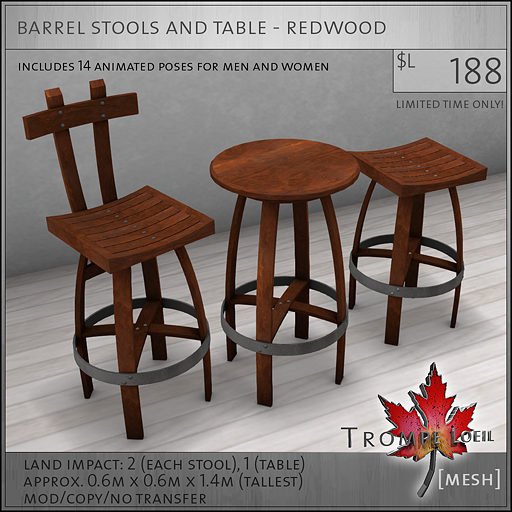 Available in rosewood, white, or black, each stool includes 14 animated poses for guys and girls.